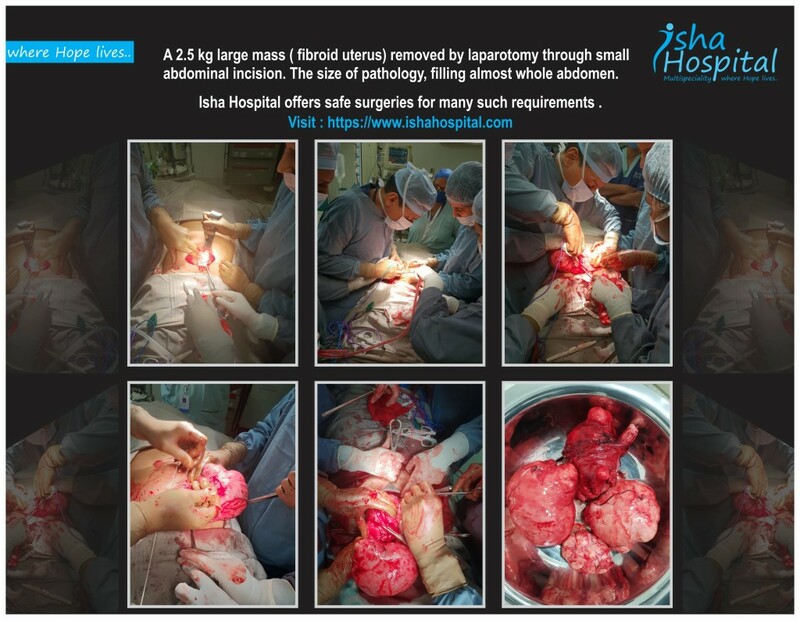 A 2.5 kg Large mass (Fibroid Uterus) removed by laparotomy through small abdominal incision. The size of pathology, filling almost whole abdomen. Isha Hospital offers such safe surgeries for many such requirements.